The Seattle Seahawks are looking to bounce back from their third tough loss to a team from Los Angeles, after losing twice to the Rams and once to the Chargers. Seattle is looking to get back to .500 on Thursday against Green Bay in another tough NFC matchup. The Packers are in the playoff hunt just like the Seahawks right now, so look for an intense game where a lot is on the line. Here are some of the key matchups to watch in this game. At this point of the year, everyone knows the Seahawks are going to run the ball a lot against the Packers. It is the strength of Seattle right now and a relative weakness for Green Bay. The Packers defense is 22nd in the league in rushing yards allowed per game at around 120, while the Seahawks are first in the league in rushing yards per game at 152. It looks like after getting their third different player a 100-yard rushing game the Seahawks won’t stop for anyone, even if they have injuries on the o-line. They have shown good depth this year, most recently against the Rams with D.J. Fluker out after winning the right guard spot this offseason. 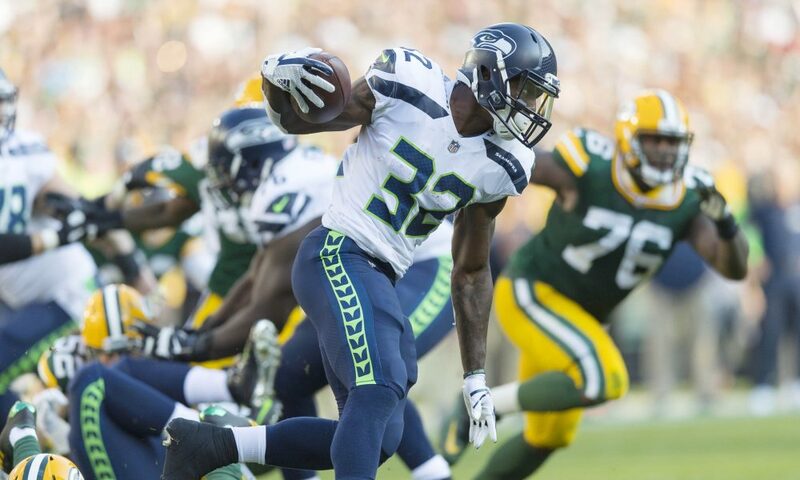 Whether it is Chris Carson, Mike Davis or Rashaad Penny starting, the Seahawks have a good chance of getting more than 100 yards against a weak Packers run defense. If the Seahawks can get three rushing touchdowns and hold the ball for close to 40 minutes, they will win this game handily against Green Bay. Aaron Rodgers has so much talent it is plain unfair. He shows it every year when he turns the Packers into one of the best in the NFC, or at least in the playoffs. Rodgers is responsible for pretty much all their success this season. He has thrown 17 touchdowns and only one interception. What makes this an interesting matchup is that the Seahawks’ new-look secondary is the seventh best in the league in terms of passing yards allowed. They will have to try and contain Davante Adams who already has nine touchdown catches this year, and former Seahawk Jimmy Graham who is second on the team in catches with 33. Rodgers will be throwing back-shoulder fades and looking for a weak spot in Seattle’s defense. If he has watched any of the Seattle games against the Rams he should know how they attacked the cover three defense and beat it. Rodgers will be looking for open windows against Shaquill Griffin and a defensive backfield that has gotten nine of Seattle’s 10 interceptions this year. The Seahawks have slowed down a little bit in the pick department as the year has gone on. I do not expect them to get back to forcing two interceptions a game like they were for the first few weeks. I do think they will blitz Aaron Rodgers more than they have blitzed anybody else this season, because Seattle needs to generate a more consistent pass rush.